By Robin Wauters , October 27th, 2015. Today sees the launch of the European Tech Alliance, which aims to represent Europe’s technology ‘scale-ups’ to influence policymaking at EU governments and institutions. 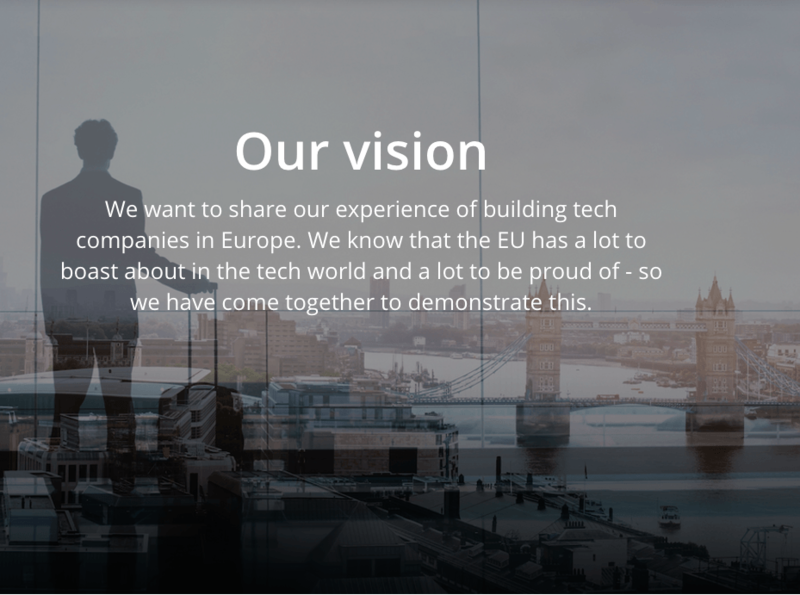 Headed by Skype co-founder Niklas Zennström, now the founder and CEO of VC firm Atomico, the brand new lobbying group intends to “share their experience of building their businesses in Europe with policymakers” and “contribute to the Commission’s Digital Single Market strategy“. The European tech companies that are backing the new association include King, Spotify, Rovio, BlaBlaCar, AVG, Made.com, Supercell, SwiftKey, Klarna and The Allegro Group. European Commission VP Andrus Ansip will launch the new alliance today in Strasbourg, France. In a canned statement, Ansip says he’s “delighted” that there’s “a new line of communication with policymakers in the EU” for growing European tech companies. Indeed, new lines are always welcome, but it’s worth noting that there’s a similar group called Allied For Startups that recently united 15 European startup associations to lobby for much of the same as the European Tech Alliance. Perhaps some communication / collaboration between both organisations is in order. Also unclear: whether the European Tech Alliance is open to additional members. A Digital Single Market that benefits European startups: within reach or a pipe dream? Who are Europe’s most valuable VC-backed private ‘unicorns’?